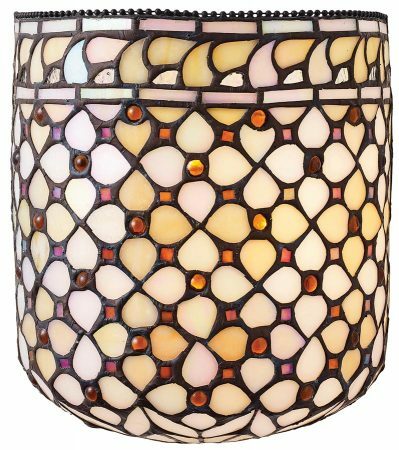 The Mille Feux flush fitting, hand made Tiffany wall light uses many pieces of cream Tiffany art glass in a geometric pattern, and is inlaid with glass bead work. The Mille Feux collection, translating to a ‘thousand lights’. We haven’t actually counted how many sections of glass the Mille Feux has, but its meaning is clear when you see the amount of glass pieces used to create this Tiffany lamp. Beautiful warm golden blends of cream and honey tones are used in this magnificent Tiffany design. 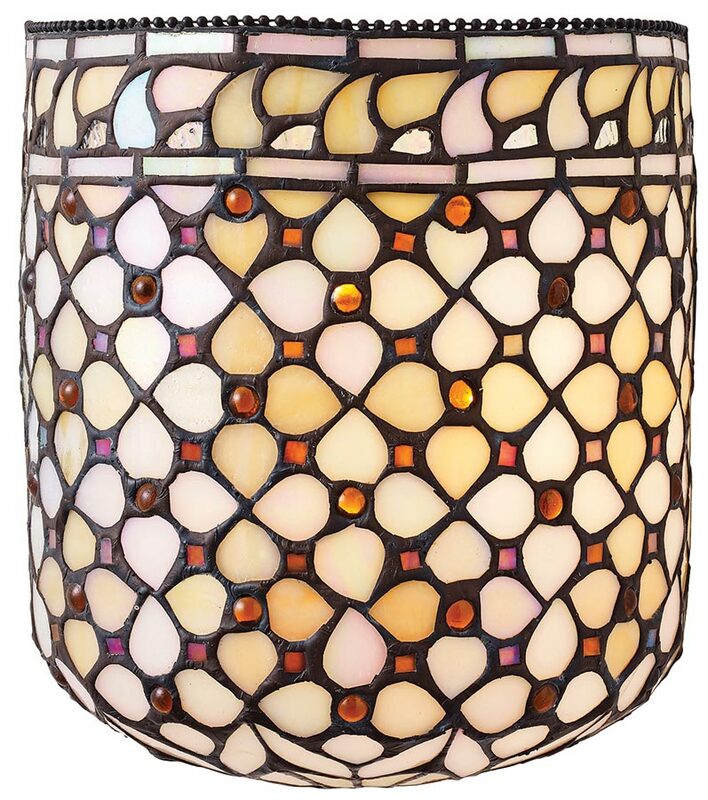 A wonderful style of flush fitting Tiffany wall light, with a basket effect of Tiffany glass in warm neutral colour blends. This is a hand-crafted Tiffany shade flush to the wall light and the colours may differ slightly from the image shown, as each piece of glass is hand-made and may differ slightly in colour or shade. This should not be seen as a fault, rather something that makes each Tiffany shade unique. The Mille Feux flush fitting, hand made Tiffany wall light, designed and manufactured by Interiors 1900.